War like skirmishes to continue between Iran and Israel , predicts Ganesha. Tension between disagreeing nations Israel and Iran has been simmering beneath the surface for decades now. Israel perceives a tangible threat from Iran's blatant pursuit of nuclear technology, and the oil-rich Iran refuses to recognise the existence of Israel as legitimate. And hence, there seems to be no particular way of confluence between the two. This tension and conflict rose sharply due to two recent events so much so that it took the centre-stage of world politics for a few days. Iran's president Mahmoud Ahmadinejad's open claim last week that his country had succeeded in loading its first indigenous fuel rod into a nuclear reactor was interpreted as further evidence that Iran remains defiantly committed to its nuclear programme. And, immediately in its wake, bombers struck at Israeli embassy officials in the capitals of India and Georgia. Israel accused the Tehran government of complicity in the attacks. Iran blatantly denied its involvement. Israel, on its part, with its geographical proximity to Iran and the fact that it is at odds with the entire Muslim world, has reacted by threatening to strike Iran's nuclear facilities if Iran did not halt its alleged nuclear weapons programme. For the moment, though, the US and the world community have persuaded Israel to hold back from any retaliatory action by promising to impose more severe economic sanctions on Iran. However, the fact remains that relations between the two countries, both known for their belligerence, have dipped to such a dangerous level, that it could easily escalate into a war. A war that may go on to embroil the whole world! 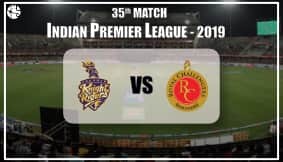 With relations between the two enemy countries, Iran and Israel, on tenterhooks, Ganesha, with the help of Vedic astrology, looks at the respective natal charts of the two countries to see if there is a possibility of a war between them. Read on to find out. Iran is currently under the influence of Venus Mahadasha and Moon Bhukti which will end on 12th June 2012. Then Iran will be under the influence of Mars Bhukti. The transiting Rahu is passing through the 8th House of Iran's country chart. The transiting Saturn is passing through its exalted sign in the 7th House of Iran's country chart. The Saturn-Jupiter opposition is influencing 1st House-7th House axis. 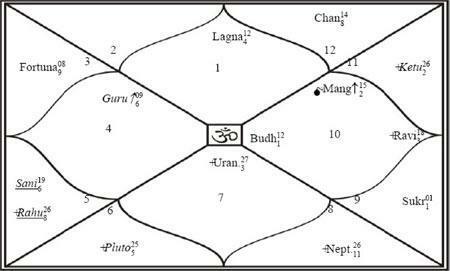 In Hindu new year chart, five planets are placed in the 7th House of war. Israel is currently under the influence of Moon Mahadasha and Mercury Bhukti which will end on 8th July 2013. Then Israel will be under the influence of Ketu Bhukti. The transiting Mars is passing through the 12th House (House of destruction and losses) over the natal Mars in retrograde motion. The transiting Saturn is aspecting the Dashanath Moon. The transiting Rahu is passing through the 3rd House and the transiting Ketu is moving over the ascendant Lord Mercury. The Saturn-Jupiter opposition is influencing the 2nd House-8th House axis of Israel's country chart and also covering the natal Rahu-Ketu axis. 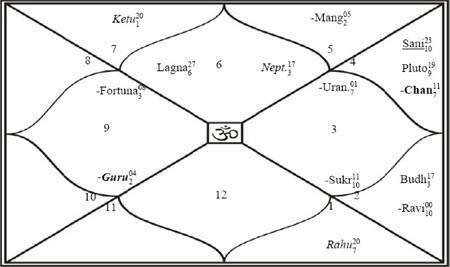 In Hindu new year chart (year 2011) of Israel, Mars is placed in the 7th House of war and all the malefic planets covering the Kendra. In Hindu New Year chart of 2012, Mars is placed in the ascendant. Also, 8th House and its Lord are under severe afflictions. Iran will face widespread economic and security implications due to sanctions. Still, Iran will continue with its nuclear program. That might create factions within the country, and it shall also affect Iran's relationship with Israel. policy of 'Hot Pursuit'. It may result in yet another conflict between Israel, Iran and the Arab world. However, chances of a full-fledged war are very feeble, but tensions between Iran and Israel may escalate to the extent of war-like situations.